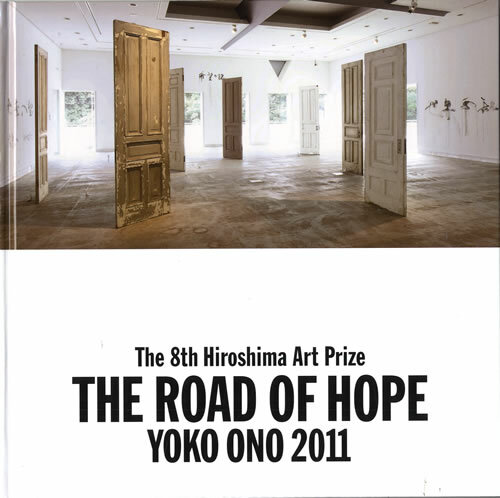 YOKO ONO The Road Of Hope (2011 Japanese only high quality 74-page hardback photo book to commemorate the winner of the 8th Hiroshima Art Prize, Yoko Ono. The art prize aims to communicate the peace-loving spirit of Hiroshima to the wider world through contemporary art and is awarded every three years to an artist who has contributed or has a proven record in global peace. This book features details about Yoko and her art with text on Yoko by Ryuichi Sakamoto, along with great images of Yoko and her art with chronology at the back - with text in Japanese & English. Also comes with an exclusive 7-track CD featuring 'Hiroshima Sky Is Always Blue' exclusive track recorded at Paul McCartney's studio, plus her past songs for peace. Only available from the Hiroshima City Museum of Contemporary Art, this copy is in 'near as new' condition and comes in the original MOCA carrier bag). Season Of Glass + 7"
or visit our Yoko Ono image gallery.